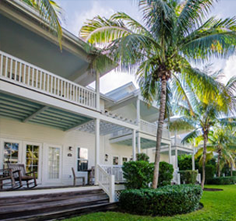 The islands are home to a number of Florida Keys attractions, from the Hemingway House in Key West to the Theater of the Sea in Islamorada. 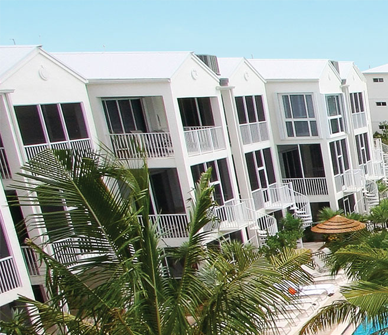 Our Adventure Concierge is your guide to the best things to do in the Florida Keys. Dolphins Plus Dolphins Plus offers a variety of marine mammal interaction programs, including Natural Dolphin Swims, Structured Dolphin Swims, and Sea Lion Encounters. These programs are designed for individuals interested in learning more about dolphins and sea lions in a safe, natural seawater environment. In addition, each visitor will participate in an educational briefing about dolphin and sea lion natural history. This is followed by a sensational in-water program with our dolphins or sea lions that you will remember for a lifetime! Times Offered: 830am, 1230pm and 3:00 pm 7 days a week. Dolphin Cove A marine education and dolphin swim facility. 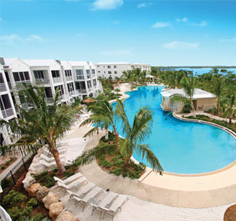 Swim with dolphins in the natural lagoon open to the Florida Bay. Dolphin swims are available to the public throughout the year. On Islamorada, attractions come to life at Windley Key’s Theater of the Sea as acrobatic dolphins and deep sea stars perform. 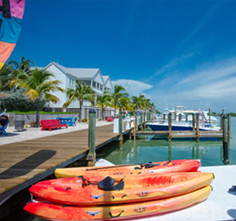 Island shops and galleries at the Rain Barrel on Plantation Key offer a colorful collection of arts, crafts, and other creative island treasures. Florida Keys History of Dive Museum The Museum is dedicated to collecting, preserving, displaying and interpreting artifacts, antiques, books, documents, photographs and oral history relative to the History of Diving. We tell the international story of man’s attempts to explore, understand and venture under the sea. We also celebrate the special role that South Florida and the Florida Keys played in this untold story. Theater of the Sea Welcome to Theater of the Sea! We are an educational and entertaining marine animal park where performances are up close and personal. At Theater of the Sea you can swim with dolphins, sea lions, and stingrays in their natural salt water lagoons through our interactive programs. The lagoons, and lush, tropical gardens are home to Atlantic bottlenose dolphins, California sea lions, sea turtles, tropical and game fish, sharks, stingrays, alligators, marine invertebrates, colorful parrots, and birds-of-prey. Your General Admission ticket includes dolphin, sea lion, and parrot shows, a guided tour of marine life exhibits, lagoon-side beach, and the bottomless boat ride. One of the shows is always taking place; guests join the one that is in progress when they arrive. It takes about two to two and a half hours to see all of the shows. Marathon has several attractions of interest. Crane Point Hammock Natural History Museum is a full day of learning about the interesting natural habitats located throughout the Florida Keys. Pigeon Key will take you back in history to the construction of the Florida Keys railway by Henry Flagler. The Turtle Hospital is a one of a kind rehabilitation center for endangered species and a must see experience. Dolphin Research Center The Dolphin Research Center provides interactive encounters and educational experiences that teach about the unique abilities of the beloved marine species. Become part of the research with special Trainer for a Day and Researcher for a Day programs, and side-by-side dolphin swims with the flippered friends. Spend an hour or the whole day learning all about the Center’s family of Atlantic bottlenose dolphins and California sea lions. Experience the different “dolphinalities” during regularly scheduled narrated sessions. Each session demonstrates a different aspect of these amazing animals’ lives. From high-flying athletics and Dolphin Fun Facts to medical behavior training and research-in-progress, no two sessions are alike. Admission Cost: $23.00 for Adults, $20.00 for Military and Veterans, $18.00 for Children 4-12 years old, free for Children 3 and under. Meet the Dolphins Join the trainer on the dock and stroke the dolphin’s silky skin. Then shake the flippers with your new ‘dolfriend’. Restrictions: Ages 1 and up, children under 8 must have participating adult. Play with the Dolphins Enjoy a splashing good time with your dolphin friends as you play with their favorite toys together. Paint with a Dolphin Work with our grey artists and create a one-of-a-kind masterpiece. You hold the tee-shirt over water as the dolphins paint, and take the shirt home with you. Dolphin Dip Get wet while standing on a submerged platform, where your new “dolfriend” swims right up to you. Includes splashing in dolphin games, and a wet dolphin kiss. Restriction: Children under 8 must have participating adult. Activity Deposit Requirement: Payments must be made at the time of making your reservation using a VISA, MasterCard or Discover card. Dolphin Encounter Play with the dolphins doing a variety of interactive behaviors. These dolphin encounters are one of the most exciting things to do in the Florida Keys. Restrictions: Must speak English, Ages 5 and up. Participating adult must accompany children younger than 8. Children younger than 5 may accompany parents but must be held on the hip at all times. Basic understanding of English is required for the dorsal pull. If necessary you will do a different interaction instead. Trainer for a Day Work alongside a dolphin trainer in their sessions-building relationships with the dolphins, preparing their meals and learning the cues we use to communicate. Restrictions: Must speak English, Ages 5 and up, but program is not geared toward younger children. Children 12 and under must have participating adult. Researcher for a Day Work side by side with research staff and trainers on actual research, learn to prepare test questions, collect data and conduct observational research. Restrictions: Must speak English, Ages 5 and up but program is not geared toward younger children, Children 12 and under must have participating adult. Dolphin Explorer Play research games with the dolphins and learn more about how they think! Restrictions: Must speak English. Ages 5 and up. A participating adult must accompany children under the age of 8. Offered only on a walk-in basis. Seven Mile Bridge The Seven Mile Bridge is the not only the location of an annual spring time running race event, it is also the location of a section of the original bridge from the early 1900’s. A great walking experience high above the crystal clear waters of both the Gulf of Mexico and Atlantic Ocean. The Seven Mile Bridge is the demarcation where the Atlantic Ocean meets the Gulf of Mexico. Turtle Hospital The only state-certified veterinary hospital in the world for turtles, visitors can view the healing hands that rehabilitate. Price of admission includes a 45-minute educational guide of the hospital with a presentation and a 45-minute guide through the sea turtle rehabilitation area. The Turtle Hospital is a non-profit, charitable corporation in the Middle Keys that rehabilitates injured sea turtles and returns them to the wild, educates the public through outreach programs to local schools, conducts and assists with research that aids the sea turtles and works toward environmental legislation which makes the beaches and water safe and clean for sea turtles.
. Hemingway House – Ernest Hemingway Museum Walk through the home of one of America’s most iconic author’s, Ernest Hemingway. Hemingway lived and wrote here for more than 10 years at one of the most pivotal times in his extensive writing career. 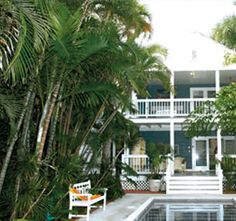 This Key West attraction is a must-see for literary buffs. Guided tours available. Ripley’s Believe It or Not Museum Gaze upon world-famous oddities! Pirate Soul Museum Pirate Soul Museum is a unique collection of authentic pirate artifacts coupled with elements of interactive technology revealing a historic adventure through the Golden Age of Piracy and the lives of the era’s most infamous pirates. Key West Aquarium – Historic Tours of America Expert guides explain the mysteries of the water surrounding the Florida Keys. Daily shark and turtle feedings and the Touch Tank offer guests hands on experience with sea life. The Aquarium features a wide variety of fish including grouper, moray eels, barracuda, tropical fish, tarpon, sharks, parrotfish and more. Conch Train Tour – Historic Tours of America Explore the characters and landmarks that have made Key West what it is today. 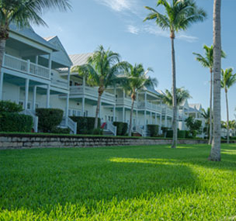 On this iconic tour you’ll see the Key West Aquarium, Key West Shipwreck Historeum & Museum, Flagler Station, Ernest Hemingway House, Sloppy Joe’s Bar, Mallory Square, Harry S. Truman Little White House, Schooner Western Union, Key West Handprints Fabrics and more.